Nothing quite beats a chewy, fudgy brownie for dessert or as a quick tasty snack to satisfy your sweet tooth. Here at Seely Mint we were snacking on some dark chocolate brownies and came up with a revolutionary idea; what if we covered a fresh baked pan of brownies with our Seely Mint Melts? We discovered that awesomeness is what happens. 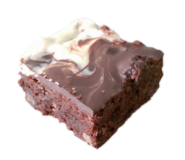 For our recipe, we decided to use the Ghirardelli Double Chocolate Brownie Mix, but you can use your favorite mix instead or even make it them from scratch. As soon as we pulled the brownies out of the oven, we spread 6oz (6 little packets) of mint melts over the 8 by 8 inch pan of brownies, and the heat took care of the rest. We then let them cool off in the fridge for several hours, allowing a crunchy mint chocolate fudge layer to solidify over the brownies. You can also choose to eat them while they’re warm and fudgy on the top instead of waiting, whichever that floats your boat. 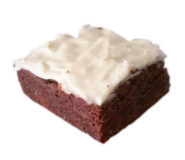 Note: If you would like your brownies to be very finely cut and presentable like our pictures, you will have to let the brownies cool off. If you don’t, then they may fall apart on you. 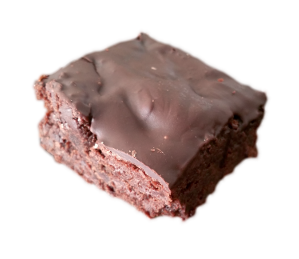 Make your favorite brownies or follow a boxed brownie recipe. As soon as you pull the brownies out of the oven, place your mint melts on top. Spread the melted mint melts evenly over the surface. Let the brownies cool off in the fridge (if you want a crispy surface). Just found out about your mints today from a friend who delivered and spread a truck load of mint roots to your farm a while back. He was drooling as he remembered the mints you treated him to. His name was Gayle and he could not remember your name so I did some research and now I can surprise him with some of your mints. Hard work does pay off and you deserve the successes you are now experiencing. Can’t wait to receive our first Seely mints!